You have a big event coming up. It’s jazz themed and you need to create a flyer, post it to your website, and put together a graphic for social media. Where do you go to find your main image? It would be so easy to just hop onto Google search, type in “jazz night”, and take the first one that strikes your fancy. It would fit so perfectly with your theme… it’s the perfect size… it’s fabulous… it’s also copyrighted. Besides the problem of poor image quality, there is one huge issue when it comes to selecting random pictures for your marketing use: Copyrights. Just because it’s not sporting an obvious © symbol or an “in-your-face” watermark means nothing. Assume every image is fully copyrighted until you know differently. Assume every image is fully copyrighted until you know differently. A copyright, by definition, is a federal law that enables the creator to specific rights as soon as an original work is created. Thankfully for us creators, a copyright attaches itself by default to the work and doesn’t specifically require documentation or filing with the government. 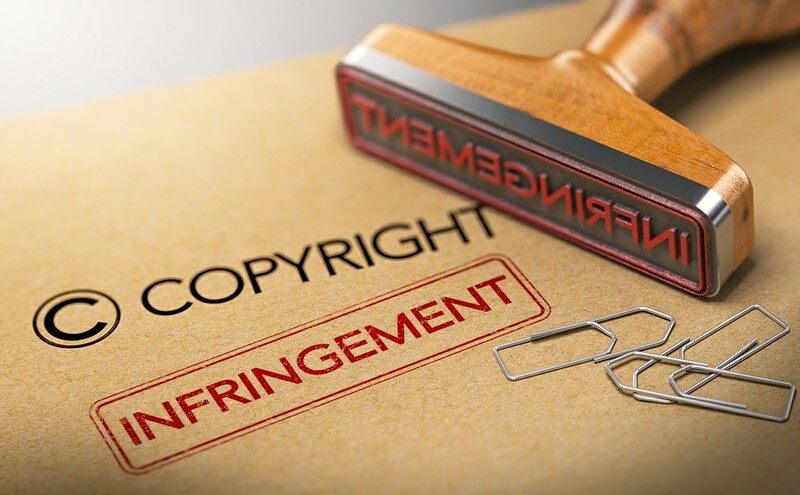 This copyright entitles the creator to exclusive rights, essentially meaning they can reproduce, display publicly, use in future works, or distribute the work in any way they see fit. This sounds pretty good, right? You can just take pictures of your business, and we can use them straight away. Not so fast – there are limitations. While you certainly own the copyright to any images you take within your own business, there are other things to consider. If you use a photographer, you’ll need a written release from them since they are technically the creator of the work. The copyright falls to them first by default. This is the same with your staff, if they’re taking pics. Here at EZY Marketing, we put in our employment contract that any material created during working hours is company copyright. It is also incredibly important to note that if you take a photo that includes a customer, you must acquire verbal (or best, written) consent in order to use that photo. Expectation of privacy is very complicated, and has come into play when using the photos for business/material gain. Many businesses have begun posting signage at their entrances stating that by entering the business, customers agree for their image to be used in promotional materials, which is an easy catch-all. But here’s a biggie – NEVER use an image of a child under the age of 18 without parental consent. That’s a big “no-no.” Seriously. Just don’t do it. And copyrights work the other way around, too. Just because someone has taken a photo of your business and placed it online, does NOT mean they have given you permission to use their work. They own the rights to that photo. As a basic rule, you should always gain express consent to reproduce images. Yes, even if they tag your business in the photo. Yes, even if they’re using your hashtag. Always ask first. Why should you care? Well, assuming the worst happens (and trust us, we always plan for the worst), you could be looking at a fine of $25,000 and extensive legal fees, not to mention damages to the violated party. You likely use images in every avenue of your business (both of your business itself, and of subjects related to your business). From website and social, to print material, emails, and presentations. This is worth understanding yourself, and informing your staff of proper procedure. Many small business insurance policies cover this to some degree, but let’s be smart and not put you in that situation to begin with. So let’s touch on the exceptions to these rules; Fair Use and Creative Commons. Fair Use allows an image to be used as long as it is in the interest of the public as a whole. A fabulous example of this would be reviews. Because the review is helping the public make decisions, the reviewer is technically allowed to use any photo of a product. They’re not gaining anything from its use, but informing the public. Creative Commons is a type of license that the creator can choose to use on their work. By marking their photo as a Creative Commons (CC) license, they open their otherwise copyrighted work up for public use. But be careful – not all CC licenses are created equal. They might have stipulations that you can use the work, but attribution to the creator must be noted. Or you may be able to use it for non-profit use only, or online but not in print. Always read the fine print. This is a lot of information, we know. And it’s frustrating, we know that too. But you still have options! There are services out there to find free and open-use images. Create Commons, for one, is an excellent starting point. Pexels, Pixabay, and Unsplash are some of our favorites here at EZY Marketing. But like we mentioned before, the images on these sites do come with limitations. While many of the images are open and free to use without strings attached, some do require attribution or have further limitations. Do you have questions? We’re not surprised. We see copyright violations with nearly every single client we begin working with. What images are you using currently that toe the line of legality? The Client must obtain permission and rights to use any information or files that are copyrighted by a third party. The Client is further responsible for granting EZY Marketing LLC permission and rights for use of the same and agrees to indemnify and hold harmless EZY Marketing LLC from any and all claims resulting from the Client’s negligence or inability to obtain proper copyright permissions. A contract for services of any kind shall be regarded as a guarantee by the Client to EZY Marketing LLC that all such permissions and authorities have been obtained. Evidence of permissions and authorities may be requested. As always, please reach out to us so we can help you through this tricky element of marketing. We are more than happy to guide you through the process of finding legal use images, or directing you to the best online source for free images in your industry. We can’t wait to hear from you!